This December, Stormcloud Brewing Company is going to the dogs. More accurately, the talking dogs. 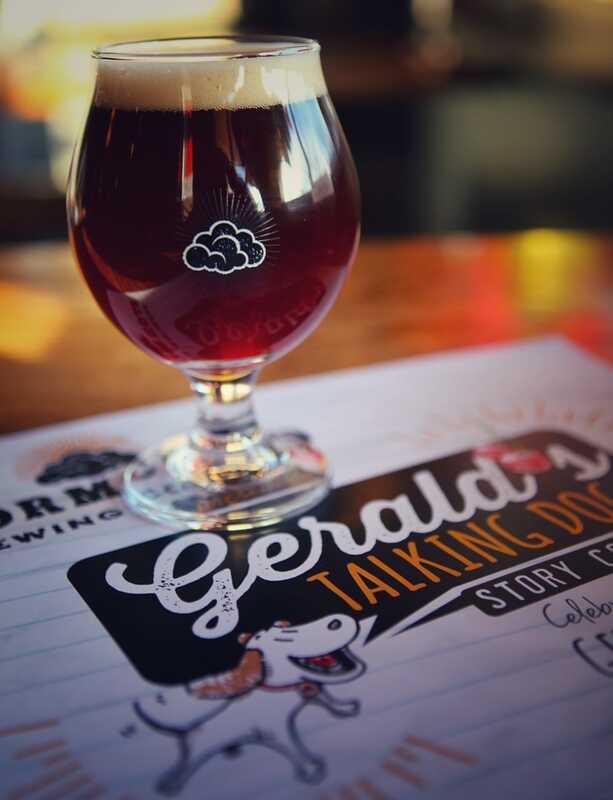 The Frankfort microbrewery is celebrating the annual release of Gerald’s Talking Dog, a beer brewed with Michigan sweet and tart cherries, with a creative story writing contest and public reading in their pub. 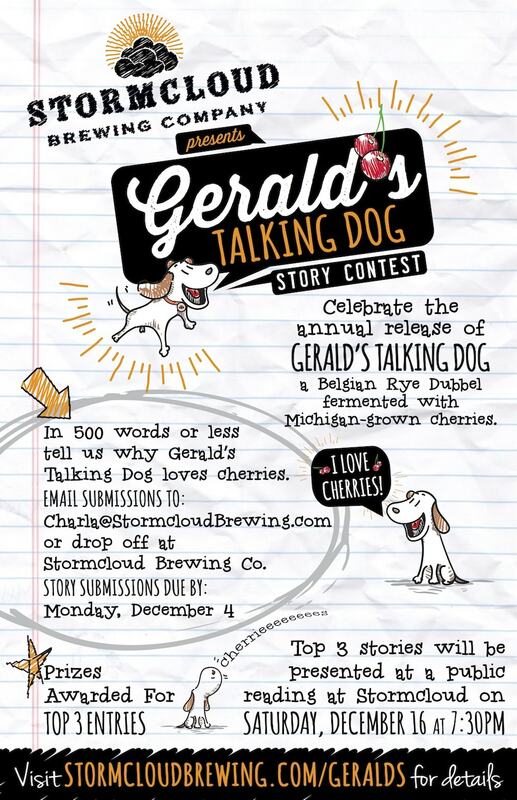 Wordsmiths are invited to tell the tale of Gerald’s Talking Dog, a fictional character who loves cherries. Story submissions are due by Monday, December 4. After being read by a panel of judges, the top three stories will be presented at a public reading in Stormcloud’s pub on Saturday, December 16 at 7:30 p.m.
Winning authors are encouraged to take part in the public reading but do not need to be present to win. The top three stories will also receive publication in The Betsie Current. This year’s judges are Jeff Smith, editor of Traverse, Northern Michigan’s Magazine and MyNorth.com; Lynda Twardowski Wheatley, creative copywriter and author; Karen Stein, creative director of Here:Say Storytelling; and Jordan Bates, co­-owner and editor of The Betsie Current. Details and submission information are available online. –Press release provided by Stormcloud Brewing Co.